Did you know you can now order your Just Eat takeaway from Valentino Restaurant here on View? 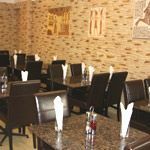 Choose from an a la carte menu of traditional Middle Eastern dishes at Valentino Restaurant. 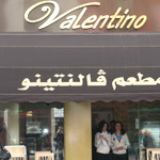 Do you work at Valentino Restaurant? What did you think of Valentino Restaurant? 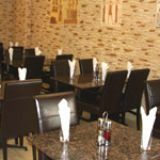 The restaurant has changed ownership and style since late 2009; it's now a Middle Eastern restaurant with focus on Quality of food and service, I recommend you try it now and tell the difference. I went to this restaurant and absolutely loved the food, it was fresh, wholesome and delicious. The service was excellent and the food arrived on time. Would recommend to go there again if you enjoy italian food you will love this! We've eaten at Valentino Italian Restaurant a few times over the past few years, and last week's visit will be our last. There's usually a middle-aged guy who is very attentive. Last week, the young staff appeared free to carry on and saunter about indolently, presumably left to their own devices. It was virtually empty, and the waitress dawdled about fixing flowers on other tables before eventually giving us menus. After another age, a young guy came sauntering out from the back to ask what we wanted to drink. We had to point out we'd like to see a wine list. Food okay, nothing amazing. Service scandalously lazy. We'll not be back again.